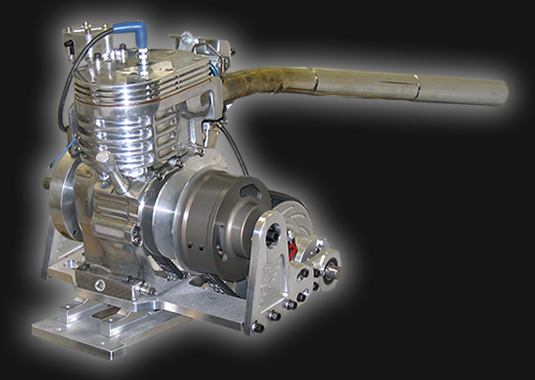 R&S Machine is the leader in engine block technology for junior dragster racing engines. Leaving no need for unnecessary grinding on cam shafts or connecting rods. R&S has relocated the cam and the crankshaft giving the necessary clearances needed to eliminate engine failure. All blocks and complete engines come with the R&S Dual Cam Bearing System. The new Terminator block is available from 3 - 3.75". R&S Machine also makes a direct replacement for the Blockzilla, which will accept the side cover and cylinder head of a Blockzilla block. 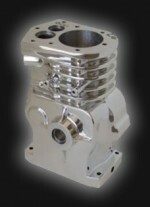 This block also comes with our R&S Dual Cam Bearing System. All blocks come with dual cam bearings! 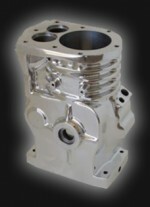 This is a blockzilla replacement, standard to 1.74" bore, machined aluminum engine block with R&S Dual Cam Bearing System. 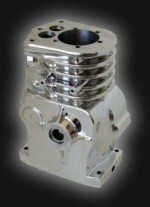 We offer this block separately or as a complete engine assembled. R&S Machine has improved this 1.94 - 3.00" bore machined aluminum engine block by creating the correct clearance between the crank and cam, eliminating failures in similar blocks of this type. The engine also comes with the R&S Dual Cam Bearing System. We offer this block separately or as a complete engine assembled. R&S Machine has improved this 3.25 - 3.75" bore machined aluminum engine block by creating the correct clearance between the crank and cam, eliminating failures in similar blocks of this type. The engine also comes with the R&S Dual Cam Bearing System. 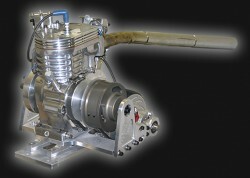 We offer this block separately or as a complete engine assembled.